Im a Fan of Rhythm in Ink Tattoo Studio... Are you? Fill in the below form and you can recommend ‘Rhythm in Ink Tattoo Studio’ to a friend or family member via a text message. Show your support with a quick share of ‘Rhythm in Ink Tattoo Studio’. Love all the guys / ladies at shop make you feel like part of the family. Best tattoo artist around. Amazing and talented artists!!! I wont let anyone else tattoo me! I cant say enough good about them! Brandon is a great guy and amazing artist!!! I have had 3 Tattoes done by Brandon and my wife has also had 3 done by Brandon. My Step son has had 1 done by Brandon and my son has an appointment with Tony soon. All artist are friendly, funny and very talented and shop is famiky friendly and clean. I cant wait to get more work done and see my family done by same people I know wilk treat them right and take care of them. Love these guys. Funky style in the shop, love as soon as you walk through the doors and beautiful work done by these amazing artists. I truly will never go anywhere else. This place is good for the soul! Excellent work done by all the artist. Nice, friendly environment! Also busy with new clients wanting tattoos! I highly recommend this shop to all my friends and family looking for a tattoo! Best shop in the whole entire world. Brandon, Tony, and Jake are all amazing artists and all around great people. I always feel at home when I go to the shop! I am very satisfied with choosing Rhythm in Ink for my first tattoo. Tony did an awesome job. Everyone was nice and friendly, great atmosphere, clean and professional, and 100% customer satisfaction. Highly recommend. Every artist in the shop is amazing. It’s a very clean place and they are so welcoming from the get go. This place is amazing!! They are all super friendly and easy to get a long with. Plus, they are super talented! They truly do beautiful work! I will never go anywhere else for my tattoos! Every artist at Rhythm in Ink is an amazing artist and always does great work. I wouldn’t ever go anywhere else! Anyone looking for great quality tattoos definitely need to check them out. They are very friendly and always welcoming. I’ve been to several shops and I’ve never found one as good as Rhythm in Ink. The artists are all so friendly and outstandingly talented. They all really go out of their way to make you happy. I will always come here for my ink! These guys are awesome! I’ve been to a couple shops to get work done but I will always go to these guys now! They know how to joke around, do the best job, and never push you past your breaking point. I highly recommend them! 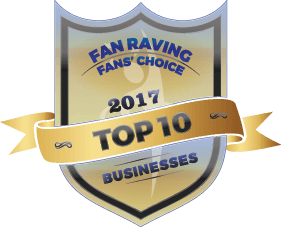 They are AHHHHMAZING, hard working, dedicated people…they are very in tune (pun intended) with their customers…i will continue to spread the good word for these fine folks!! 5 stars here!! If you want the best ink, get the best with Rythem in ink tattoo studio. Brandon, Jake, and Tony will not disappoint! Ask and you shall receive. #LOVETHISPLACE. Rhythm In Ink is nothing but top notch people that treat you great and go above and beyond expectations. They are simply amazing! Brandon does great work and makes sure to give you exactly what you want. So much to say about this place…amazing work from all three artists, amazing vibe from the shop itself, just amazing all around. Jamie does awesome running the shop and keeping everyone on track and Brandon, Tony, and Jake whip out some awesome work! I’ve referred a ton of people to them and can’t wait for my next tattoo to be done by them!! The place is amazing Brandon Tony and Jake are amazing I send anyone who wants ink there way. LOVED my experience at Rhythm In Ink…the atmosphere is awesome. Everyone is very friendly and easy to get along with. Jaime and Brandon did and awesome job of bringing my vision to life! Will be back! Brandon is a great artist and always fun to talk to. Jake did a great job of touching up a crappy tattoo. Best work, best atmosphere, best people by far. Gained more than just great artwork from this shop. I’m a very anxious person but quickly felt comfterable after alot of laughs and conversations between the artist and myself. Jake peter, the artist who has done my work, is highly recommended from me but all of the artists work are just as badass and beautiful. 10 out of 5 stars, you wont regret your visit. Brandon is a terrific artist! I Love this place, I won’t go anywhere else!! These guys and their ladies make this a one of a kind experience. Top notch art with witty conversations make this my recommended & #1 go to shop. More than reasonable prices… did I mention that these peeps do bad a$$ art? Ya seriously need to give em chance, ya won’t be sorry. They are fun to be around. They will work with. They also make u comfortable. Fantabulous art work! Clean, friendly, respectable & fun people! Treats you like family! Great atmosphere! Great people! And great work! Would And do recommend people to go see them for a tattoo!! I have been here to get both of my tattoos done. Wonderful staff and just an all around awesome experience. Will be going again soon. I’ve been a long time fan of Jake Peter’s art. The atmosphere of rhythm and ink is professional and very down to earth. It’d be a pleasure to continue to give Jake and the crew my business. Some of the coolest ppl on the planet in this shop. Jake is like family to me. This is my one stop shop for all my tattoo needs. Everyone needs to get in there and set up an appointment. You won’t leave disappointed. Jaime and Brandon, make you feel at home. I went there are few months ago for my first tattoo. I was very nervous. Their shop is very cool looking and clean. Jaime was great helping me with my design and Brandon was very professional and put me at ease. I went back for a second and will be going back soon to get another. B. has done amazing work on my brother Danny several tats and of course when my childhood best friend told me she will be coming home to visit I couldn’t imagine anyone but B to get ahold of when we decided we wanted to get a best friends tattoo. We shot him some ideas and he is working on something special for us . Besides being a family friend for years B is amazingly talented can’t wait to see what he comes up with for us! Brandon and Jamie make you feel like family. They all do a great job in everything they do! Brandon’s done amazing work on myself, my husband and my son. We would definitely recommend Rhythm in Ink! Super friendly environment, they love what they do & are awesome at it. My daughter’s & I had mother/daughter tattoos done by Brandon. He does absolutely amazing work! Very friendly & welcoming. Treat you like family. They’re good, down to Earth people and do good work. There’s a pool table and some cool artwork to check out among other things while your buddies get tatted. Excellent art. Great people. Greatest shop EVER! Brandon was at a shop I previously used and was highly recommended by a friend when I needed a new artist! My fiance needed a cover up done and that was our first experience luckily his good friend recommend him there as well! He was great really put that pin work 2 year old looking junk on him to shame! Our second time was another coverup and it’s the best black and grey wash tattoo I’ve seen in Well I hate to say my whole life but I have too! He’s had both one about a year and other about 6 months AMAZING, freshly looking like the day they were done! My experience was amazing my locations a bit on the painful side and has caused a delay in completion plus winter time hit shortly after my leg was finished by Brandon. I’m being a pansy but I’m pretty certain Brandon’s very light handed and think my foot area will not be the same experience as my first!! The comparison to the work on the other side of my leg makes me wish I’d waited to have this done by him all at once but those are from years ago I’m hoping to get a little reworked during my next session with him now that it’s getting warmer! I’m anxious to see the ending, colorful, beautiful, meaningful finish and Brandon has been great to work with along with his wonderful wife to talk too! The shop is friendly, respectful, and they arrange things greatly! Highly recommend for you next or new artist! They are amazing people! Brandon did amazing work on my tattoos! He always makes me feel welcomed and treats me like we are family! The work environment is always clean. They listen to all our ideas and make sure they can do whatever they can for me. I highly recommend them to anyone who asks. All of these guys do a fantastic job…they take care of all that come in and give 150+% in all the work they do!!! Awesome work and friendly environment! High recommended! The people at this shop make you feel like family. Everyone is super easy to get along with. Nothing but good vibes when you walk through that door. They are there to make sure you have the best visit and you leave with something that you’ll love forever! Jake Peter aka Mr. Skeeter is awesome! He has done all of my work and couldn’t be happier. He has killed everything I have asked of him and so much more! And Brandon and Tony are great artist and people as well! I haven’t seen a bad piece leave their shop. Definitely the shop I recommend to anyone wanting or thinking about getting some work done! The shop as a whole is great. Very friendly and down to earth guys. Jake skeeter was my artist and we hit it off great and became friends. Id recommend this shop to anyone! They are amazing people! They make you feel like your family! No matter how crazy your idea seems they will make it look fantastic! The environment is always clean. Everyone is friendly and listen to any of your ideas and make it work. Brandon did an amazing job on my family and I’s tattoos! I would highly recommend them to anyone who asks for the best place to go. The shop looks awesome & has a great atmosphere. Brandon did an outstanding job on my most recent piece of artwork. I have gotten many compliments. Can’t wait to visit your studio for more work. Keep it up! Fun environment and amazing talent! Amazing artist, friendly staff, always go above and beyond to take care of their clients!! Very professional and clean! Staff is friendly,skilled and a pleasure to work with. Business is clean and always welcoming. Very highly recommended You won’t regret choosing Rhythm In Ink for your next tattoo. Awesome!! The staff are ALL so friendly and listens to you on your ideas to create the tattoo you are wanting to accomplish. The atmosphere is so full of creations. They are ALL about cleanliness and safety for yourself and theirs. They welcome you to come in and take a tour and meet the artists before you set up your appointment. They take pride in their work, That is why I choose this shop- GREAT PEOPLE!! Love this place! So welcoming! Love the energy and atmosphere! I, especially, love how family oriented it is there! I’ve been to many many shops over the years. Every since I started going to Brandon, though, I’ve never went to another shop. I have, definitely, found my artist at Rhythm in Ink Tattoo Studio! They are just amazing people. When you walk in you feel like you are welcomed and feel comfortable in their. That’s what I like about a tattoo place. They are just fun to be around. I am a fan due to the best shop experience. Cleanliness, comerodery, helpfulness in tattoo layout and, I love having my tattoo parties there. The best shop ever. Thanks to my artist for giving me the most memorable piece of art. I cannot wait to add to it to make it complete. The artist and the atmosphere in this business are always incredible. Very professional very clean and always customer oriented. Their customer interaction as well as professionalism is top notch. Personally wouldn’t go or suggest any place else. Tony does amazing work! Now that I’ve gotten amazing work done by him I will not go to any other tattoo artist but him. He does work on both my husband and I and we will returning back to him soon for half sleeves. He has a light hand and come up with beautiful artwork right on the spot. I’m a huge fan of this place! Not only am I a client, I’m also a co-owner of the business. We’re striving every single day to be THE BEST TATTOO STUDIO around Frankfort! We’re not just giving people tattoos, we’re establishing long lasting relationships. A happy client is a repeat client! The artists the atmosphere and the quality of work is always incredible!! If it weren’t for Rhythm In Ink, or more specifically Tony McWhitey, I wouldn’t be getting tattooed anywhere in Frankfort. He has been working as a tattoer for 10+ years and has increasingly got better every year. He has done every style of tattoos on me, including an amazing portrait of Stan Lee. The shop itself is warm and inviting, edgy and funky, up to date and fun. The crew working there treat you like you’re a friend, not just a client. The artists bend over backwards for their customers, from the stencil work to the price. Tony is such an amazing artist! He deserves to win! Great shop. And deserves way more than 5 stars! These people r amazing and care about their customers. Their art work is phenomenal. I’ve seen some talent but this is way beyond that. They really give u exactly what u ask for and take the time to understand what u seek. I haven’t yet been lucky enough to get a tattoo here, but I’ve definitely been wanting to! I have friends that I’ve gone with and know a lot of people who have gotten tattoos from Rhythm in Ink and they turn out amazing! Not to mention the atmosphere is awesome. Tony came recommended by several friends and designed an amazing cover-up for me. I’ve gotten many compliments on his work and will be seeing him again for more! Beautiful work at a very reasonable price done by an incredibly talented artist! Love the atmosphere of the studio as well. Amazing atmosphere. ALWAYS very clean professional and welcoming. The best place around to get quality work done. You wont be disappointed!!! My sisters and I all received tattoos and we are all very happy. They were very friendly and courteous. Did amazing piece on me for my sons sleeve. I’ve followed one of the artists from Lafayette. The drive is worth it. The shop is a wonderful mesh of personalities and the artists are top notch and keep it fun! Last but not least, their work is fantastic! you can NOT go wrong with this crew! As Co-owner, I’m beyond proud of what all we have accomplished in such a short amount of time. We have an awesome experienced crew that actually enjoys coming to work every day! We don’t feel like we are going to work…and that is something to be said for in a job! We love our shop, our jobs, and our clientele. Our clientele have been so supportive of us. Without them, we wouldn’t be where we’re at today. We set goals & standards while designing our shop…Persistence is the key to achieving excellence. We are motivated to be the best that we can be and the sky’s the limit. 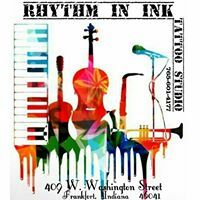 Great artist and atmosphere, Rhythm in Ink has the best artist in town…the place is clean and the staff/artist are friendly and professional. I have 3 tattoos from Tony and love them all! These artist have absolutely amazing work.very light handed and make you comfortable when in the shop. I love the tattoo artist there they are very polite and honest. I love the tattoos​ they have done, and they give away tattoos n contest and make things interesting. I recommend this studio to anyone,I’ve already had my best friend recently get a tat there she loves it. Riits is amazing.. they did an amazing job I my tattoo and so of the tattoos I have seen son by them. Amazing artist, atmosphere and work. Will definitely be going back. They are all very nice and Tony has worked on pretty much my whole family and does excellent tattoos. They’re wonderful from the environment down to the people and cleanliness. I will never go to any other tattoo shop. Defiantly the best by far and I’ve been to several before them. Their prices are unbeatable and not terrible. This professional tattoo studio goes above and beyond to support their community. The artists do amazing work and price accordingly. I had noticed on my first visit, their customer service was outstanding! I have referred many friends and family and will continue to do so. Keep up the fantastic work Rhythm and Ink Tattoo Studio I will be back soon!!! Great Artist, Friendly & Clean Enivorment at the shop and Always making sure you are satisfied with the work they do! All around Great Place! I won’t go to anyone else except for Rhythm & Ink! Excellent staff. They were fun to be around and very professional. Really did a great job from designing the tattoo to application. The finished product was beyond good!! Amazing artwork, wonderful artists. Highly recommend!!! They were recommended to me, I went there and got my very first tattoo. They are very friendly and informative about all the things I needed to do before and after. I would recommend to all my friends and family. Brandon did a great job on my tattoo. Will definitely go back!! They are very friendly and accommodating to all clients. Great artists and great people to hang out with. I would recommend them to all my friends wanting to get tattooed. Keep up the great works guys. Great people operating this business. Hard to find quality good customer service! Love the artwork being done here. This business has an amazing group of people working there. The atmosphere there is very happy, comfortable and makes you feel at home. They do excellent work and will be going back for future tattoos. I will not go anywhere else. TonyMcWhitey is the best artist and the quality and service is spot on. I have had tattoos elsewhere and they are sloppy and the ink fades. But all my Rythem and Ink Tattoos are still perfect. They do such amazing work and are just all around great people!!! The studio and the wonderful people who own and operate it are super down to earth and make it a great place to want to get tattooed at. They made me so comfortable and I can’t wait to get another one done by Brandon in the future! Extremely professional and clean business. I’ve had lots of work done here and plan on all of my future ink to be done here as well. brandon and Jamie are ver family freindly they do excellent work. Brandon actually redid my wifes tattoo that a reputable shop in lafayette messed up on. Tony has done quite a few of my tattoos. Very clean and professional. Love these artists! Absolutely love Tony and his apprentice Megan. Almost all my work has come from him. Amazing work at great prices! Awesome shop… clean .. comfortable and the people r so friendly! And the artist r amazing. Proving good quality art in beautiful pieces!! Have not gotten a tattoo yet, but will be going to Brandon and Jamie when I do. Jamie is an amazing artist, they are both so nice, hardworking, and support the community. I highly recommend Rhythm in Ink. I’ma fan because we spent months pouring our heart, souls and last penny we had to our name to make this happen. We take pride in our shop name. We take time with our clients to ensure they get an awesome tattoo by awesome artist’s…we love our jobs. Love our shop and love our fabulous clientele. We’re not your standard tattoo shop. We’re set up to jam anytime we want to, as music is very important to us and we all play some kind of instrument. It’s awesome when people stop by and play us a tune or 2. We’re also family oriented. We like to think everyone who enters our establishment is family! The owners are great people who really listen to what you want!! The artists are wonderful and you won’t find better service anywhere!!! Love how they answer your questions and are so good with everyone!! I had been thinking of getting a tattoo for quite some time, a couple of years as a matter of fact. At my age (62), I wasn’t sure if it was the right thing to do or not but I decided to go into the shop and was welcomed and shown around and introduced. The people are wonderful, I love Brandon and Jamie. Jamie helped me design exactly what I wanted in a tattoo. Brandon did such a wonderful job on my tattoo and kept my initial fears at bay. I couldn’t have asked for a better first time experience. I will be going back again. Love Rhythm In Ink Tattoo Studio! !